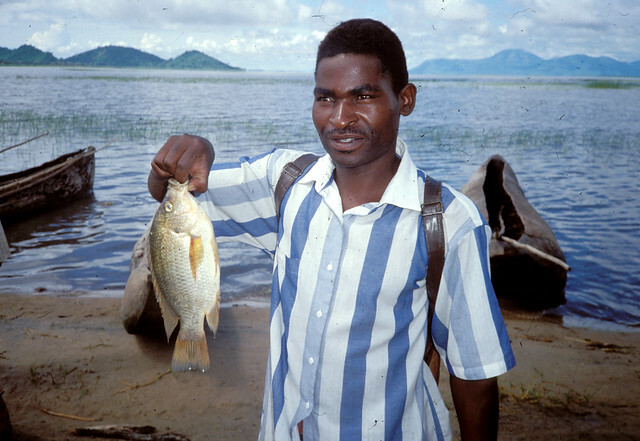 The use of photos and comments by research participants to tell their own stories – known as photovoice – is a fast, cost-effective and high-impact research method, making it a valuable tool for gender and social scientists in fisheries and aquaculture. Photovoice was the focus of a special workshop at the FISH-sponsored 7th Gender in Aquaculture and Fisheries conference in Bangkok on 18-21 October 2018. The workshop – ‘Photovoice: Researching gender in aquaculture and fisheries though the camera lens’ – was run by Dr. Janine Pierce, an adjunct research fellow at the University of South Australia. In her workshop, Dr. Pierce outlined the photovoice process, gave examples of photovoice projects and described the different steps in the research process. Findings of photovoice projects are usually presented in exhibitions, to inform decision-makers of outcomes of projects or to highlight issues needing to be addressed. The use of a more participatory ap­proach to fisheries research has largely arisen from a move towards interactive governance and par­ticipation in fisheries management, as well as recognition of the importance of collaborative learning in small-scale fisheries. “At its heart, photovoice seeks to make community needs more visible and to empower participants to push for change at the in­dividual, community and policy levels,” says Dr. Fiona Simmance, a small-scale fisheries scientist at WorldFish, who attended the conference and used the research method in the small-scale inland capture fishery of Lake Chilwa, Malawi. Dr. Simmance used photovoice to capture the perceptions of men and women fishers regarding their fish-related activities, benefits obtained and challenges experienced. A modified version of the assessment was produced to improve the understanding of gender in the sector, and included a one-to-one interview with participants to develop narratives around photographs. The method produced rich data on the value of the sector for food and nutrition security and reduced vulnerability. Fishers highly valued their fish-related activities and outlined that through fish-related income they were able to meet their household food needs and diversify livelihoods. In addition, through discussions on prioritization of challenges, fishers identified climate variability and the associated impacts of low fish availability. The method captured the complexity of context-specific factors and produced policy-relevant results that highlight the hidden value and challenges in small-scale inland capture fisheries and help make the role of women more visible. With the increased interest in previously overlooked aspects of gender in small-scale fisheries and aquaculture research, such results could not be more timely.